Karen Klukiewicz brings more than 30 years of experience in business strategy, product development and management, business development and marketing. She was a Director for Motorola and also worked in consulting, marketing and product management for other high-tech companies such as Hewlett-Packard and NCR where she specialized in aligning business and technology strategies for Fortune 500 companies. Karen is an experienced business development and operations professional, with special expertise in optimizing revenue from an organization’s IT investment. 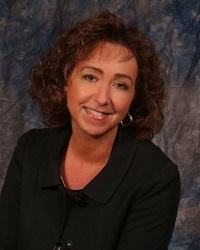 She has consulted with several local organizations on business/information technology and process improvement projects. At Patrick Neale & Associates Karen, looks after a broad range of operations and administrative functions including marketing, invoicing, technology and process improvement. She also assists clients in the non-legal aspects of debt settlement, short sales and loan modifications. Originally from Syracuse, Karen also lived in Flint, Detroit, St. Louis and Chicago before moving to Naples in 2003. She and her husband live in Naples.